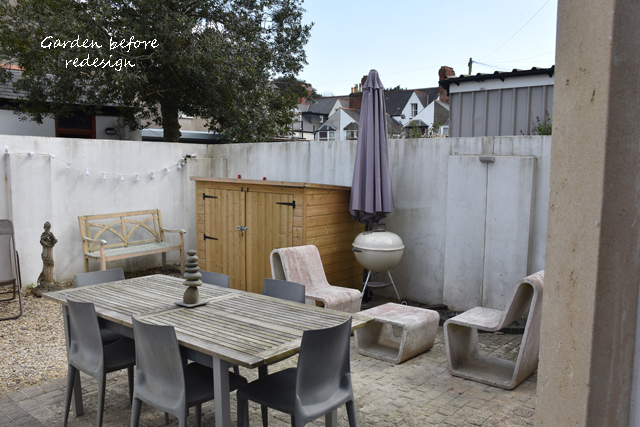 I’ve recently been working with a client in Cardiff to help her to transform her little courtyard. She’s recently moved from a much larger house and garden so wanted some help to fit everything in without it feeling too cluttered. Rather unattractive, I think you’ll agree. The gravel area was used to park a car before so the materials are all a bit “driveway” like and the space as a whole isn’t very uplifting. Although it’s a small space, I often think this provides more opportunity for a bit of “wow” factor. My client’s personal style is very modern so we’ve gone for a simple design that will maximise the space without it feeling too cluttered. 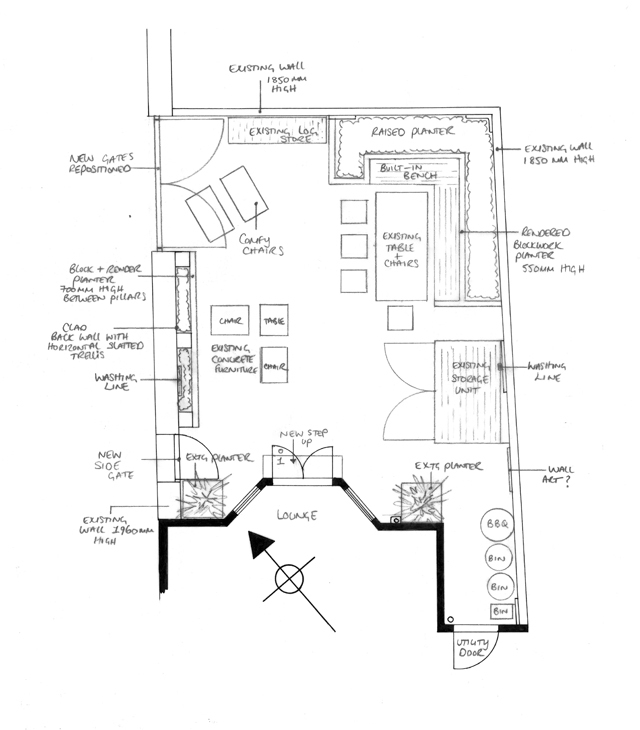 Built-in seating will help to accommodate a large table and chairs and give enough space for entertaining up to 8 people. New gates will be moved in line with the outside wall to give enough space to be able to open the doors fully with the log storage in-situ. 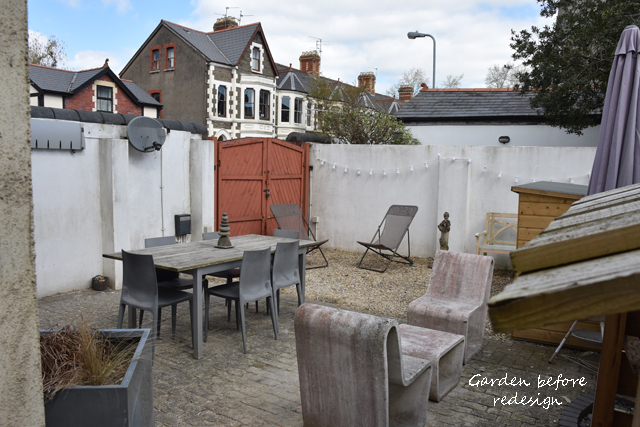 As this is a conservation area, we were keen to keep the double gates which will be traditional in style on the outside and more modern on the inside. The courtyard itself will be poured concrete to give a smooth and uninterrupted surface, although we do need one expansion joint so this will be incorporated in a way that looks aesthetically pleasing and will double up as drainage. We’ll probably incorporate two joints to give the space more balance. 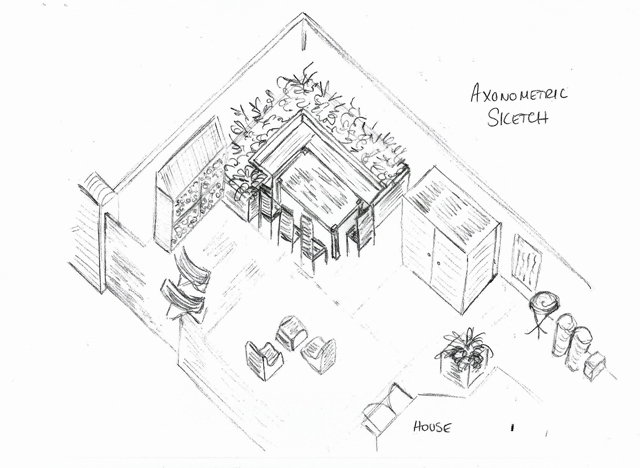 I’m looking forward to seeing the finished garden which will be built in the early autumn. It will certainly make a difference to its current disjointed appearance, a clean simple and elegant space with a contemporary edge!